The Church of the Holy Cross was built on the site of the original wooden church from 1516 in 1645. It was gradually restored to its present form during the 19th and 20th century. The main altar is from folk carvings, which dates to 1750. There is a wooden cross in the middle, on which there is a life-size body of Christ. 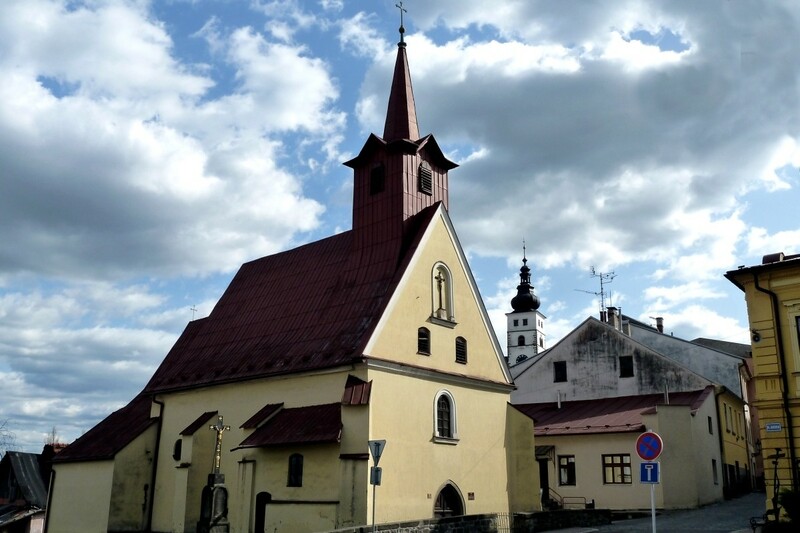 The church was originally surrounded by a cemetery reserved for the wealthy families of Příbor. Burials were held here until 1720. The original statues of St. Rocha and St. Florian are housed in the church, their copies stand in the square.